“Behind me is infinite power. Before me is endless possibility. Have you ever experienced fear or viewed life through fearful eyes, ears, mind and soul? Fear can wrap its icy tentacles around hearts and paralyze our thinking. I have been there. I know that it happens and fear can have the power to stop us in our tracks. But this quote above by Stella Stuart is a lovely reminder that there is more than fear in this life. Fear can be managed when we think with love, with possibility, with hope and with faith. I wanted to share this quote with you today so that you can have the gentle reminder that you are more powerful than you know! Shine your heartlight dearest friends! Sending you strength, love and boundless possibility, today and everyday! I found this quote enlightening and felt the need to share it with you. 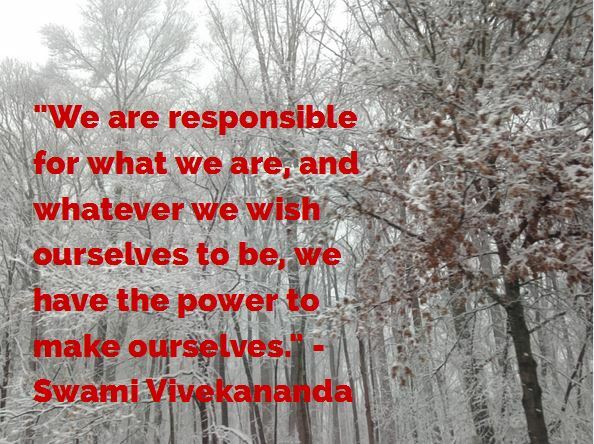 For it seems to me that at times, we forget that we hold the power of our dreams, our hopes and our Divine Purpose and as Swami Vivekananda says, ‘we have the power to make ourselves,’ which I find reassuring. 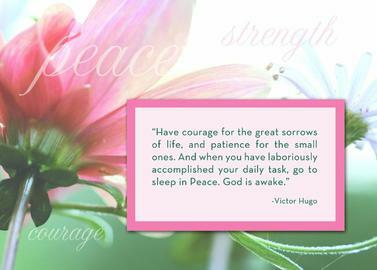 So if you are troubled, take heart. You hold the power to make yourself. It is your choice to make yourself however you wish. So wish well ~ wish with a kind, open, loving heart and hold your power to make yourself the YOU you wish to be. You count. You are special. You are empowered. Now, shine like the sun! Gratitude is a habit and like many habits, it takes time to develop. Being thankful for all things in our lives and all people in our lives can sometimes be a challenge ~ especially when Mother Nature wallops you with unforeseen, epic storms. However, it’s sometimes when life is darkest that you can find gratitude in the most minute things that can increase your life’s abundance exponentially. 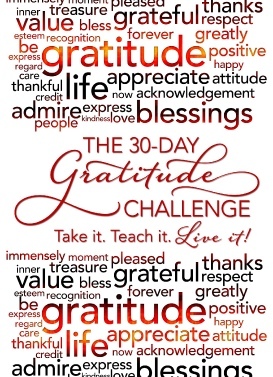 I gave out the 30 day Gratitude Challenge yesterday and I thought I’d follow up today with some suggestions. I know that before I took the challenge myself, I floundered at the thought of 30 different people to thank, but as I went along, every morning, I popped out of bed excited to find my next person to thank ~ and magically they were delivered to me! Here, you will find my first gratitude card that I began earlier this year. gratitude-day-1 I did the gratitude challenge which morphed into something bigger as time went on for me. It changed me just like the death of my Dad did. Perhaps that’s why I’ve reached out to my cousins and found peace. Life is short…don’t live with regrets…now’s the time to say how you feel…enjoy the beauty in the written word. It doesn’t have to be fancy nor cost a lot…it just has to come from the heart!